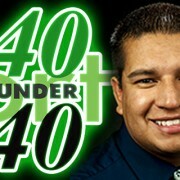 Alex Villa was raised in Lemoore, California with his older sister, both raised by their mother. After graduating from Lemoore High School, he continued his education at Fresno State. 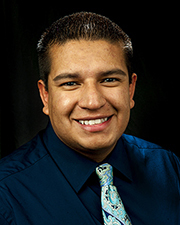 While pursuing a degree in business administration, Villa began an internship with the City of Fresno, which shortly developed into a full-time six-year opportunity that allowed him to learn various aspects of City government. While with the Downtown & Community Revitalization department, Villa discovered his passion for serving the local community. Supporting local business growth with the City was just a stepping stone for Villa into his next chapter of service. In June of 2010, he joined the local chapter of the American Red Cross as the regional manger of community preparedness & resilience services for the Central Valley. In three short years, Villa established the Be Red Cross Ready community preparedness program in the Central Valley, and he facilitates the American Red Cross & Pacific Gas and Electric Company – Prepare Central Valley campaign. Villa’s innovation and enthusiasm has paved the road for the American Red Cross Preparedness & Resiliency service directly to neighborhoods that need it the most. Recognizing the need for fire safety education and providing necessary tools, he took the initiative and tailored a fire safety education program specifically to the Central Valley, known as Team Firestopper. Villa is recognized as a leader in community preparedness not only in the Central Valley but also within the national organization. He also serves as a member of the Fresno Hispanic Chamber of Commerce, and in his free time can be found at a movie theater or wine tasting at a local vineyard.